Jeep's familiar Wrangler comes in standard-length and stretched-wheelbase "Unlimited" versions. The latter provides an additional two inches of rear-seat legroom, expanded cargo space and improved ride qualities (though the vehicle will still leave you shaken, not stirred, over a rough road). A 147-horsepower 2.4-liter four-cylinder engine remains the standard powerplant, while an available 4.0-liter in-line six-cylinder engine generates 190 horsepower and 235 lb-ft of torque. Both can be mated to either a five-speed manual or four-speed automatic transmission. The Rubicon edition is the most rugged Wrangler with its "Rock-Trac" heavy-duty four-wheel-drive system. 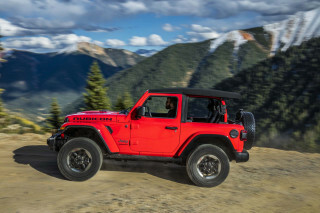 Basically equipped, the Wrangler can be fitted with optional features like anti-lock brakes, a full metal top, a CD stereo, side steps, and a locking trunk box. 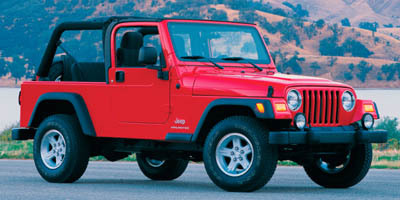 Otherwise only minor alterations are planned for 2006 as the Wrangler awaits a major revision for 2007. Plenty of limitations, but unlimited fun.